The UFC has always been the world’s premier MMA organization and fighters work, grind and dream to one day have the opportunity to grace the Octagon to hone their craft. The problem is, as with most dreams, getting there is very difficult. Scott Heckman is the reigning, defending Maverick MMA featherweight champion. With 35 professional fights under his belt, including a current seven-fight winning streak, “The Animal” is ready for his opportunity to get one step closer to reaching the pinnacle that is the UFC. Following a victory over Ruben Warr at X Fights 2 in June 2016, Heckman announced his retirement from mixed martial arts. With family, construction of his home, and the sometimes shady business that MMA can bring on a regional level, Heckman had enough — at least, for a little while. 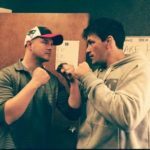 Fast forward about eight months later, Heckman would return to the sport he fell in love with and signed a deal with Maverick MMA. After back-to-back victories to kick off his next chapter, Heckman would capture the organization’s featherweight title with a hard fought split-decision victory over Robert Sullivan at September’s Maverick MMA 3 event. Since then, he has gone on to defend that title three times over a five month span. Heckman is one of the most active and reliable fighters you will find, competing in all seven Maverick MMA events since April 2017. The next step for the 34-year-old is a shot at the UFC, whether it be a short notice call-up, or on Dana White’s Tuesday Night Contender Series. 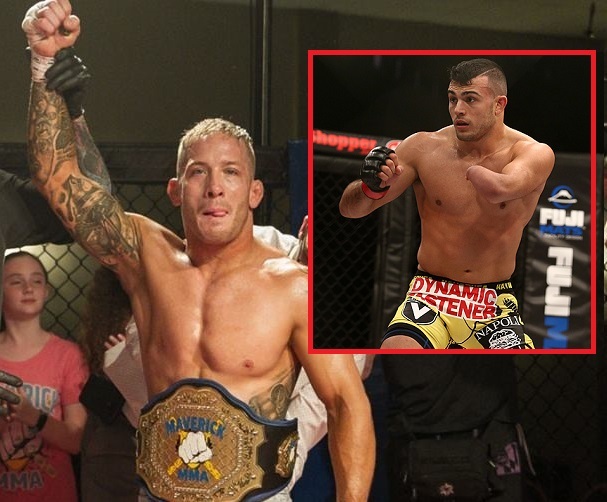 The second season of DWTNCS is scheduled to kick off on June 12 and will feature some of the best fighters outside of the UFC, from regional champions to a couple of big names in MMA, as well as the sports world — Greg Hardy and Nick Newell. Newell, who also came back from retirement with a victory at LFA 35, is still without an opponent for his appearance on July 24. Heckman, with nothing but respect for “Notorious” would be more than happy to fulfill that dreaded “TBD” spot on the card, even if it means jumping up a weight class. Heckman, according to Tapology, is the fifth ranked featherweight in the Northeast and has competed for the likes of Bellator and CFFC. “The Animal” also holds a victory over UFC bantamweight contender Brian Kelleher back at CFFC 27 in September 2017. Despite the current streak he has been on, Heckman says there has been no contact from the UFC brass to date. “Not me, personally,” Heckman said. “That’s what we’re hoping for. We have Andy Main, he’s my coach and he’s trying to get me out there. He’s doing his part to try to get me out there to the next level. Dana White, Sean Shelby, anyone connected with the Contender Series, or the UFC? No, I haven’t talked to them directly. With fights falling out at a undesirable pace for the UFC over the last few years, one thing the organization would be looking for, one would assume, is a fighter who is incredibly active and durable. One thing we can learn from Scott Heckman is that he is a fighter who loves to compete. The man wants an opportunity to prove to the world that he is exactly that. He is not one to beg, or be desperate, for that phone to ring. Heckman just wants to let the UFC and their decision makers know that if that call happens to come, he’ll be there.